Harry Shum Jr., Isaiah Mustafa, Emeraude Toubia, Katherine McNamara, Dominic Sherwood, Matthew Daddario, and Alberto Rosende in Shadowhunters: The Mortal Instruments. Courtesy of IMDb. 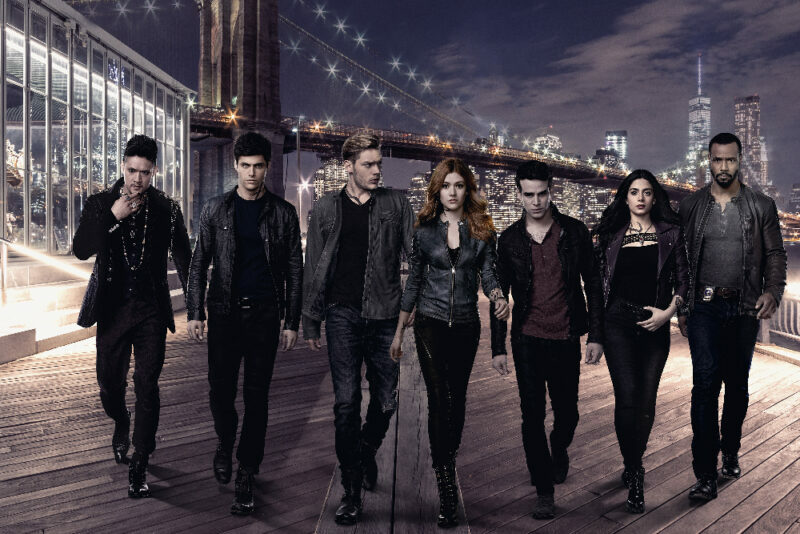 After devastating news of a cancellation and outcry from fans last year, Freeform announced today that it will air the final 12 episodes of Shadowhunters. The show was cancelled after three seasons. These episodes are the second half of the third season and are set to air starting Monday February, 25. Check out the announcement and new teaser below! “Race Through New York Starring Jimmy Fallon” Opening April 6 at Universal Orlando! Next story Jason Manns Shares Glimpse of Richard Speight, Jr. Recording New Album! Previous story ‘Supernatural’ Renewed for Season 15!